Want to start landing Facebook ad clients… but first, you need the basics in place to ensure you can get them results? Check out this sneak peak from one of the calls! 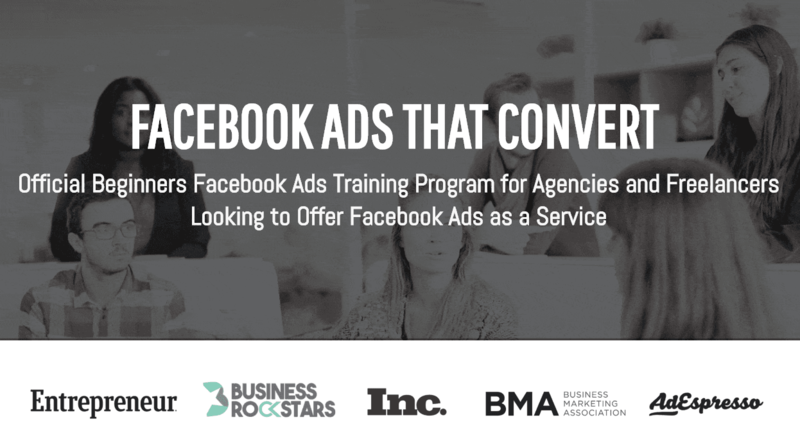 Gain the Expertise and Skill Set to Confidently Offer Facebook Ads as a Service to Clients and Charge Premium Prices! Candice made $20K in one month! 70,000 members from a $600 ad spend! Facebook Ads that Convert is a self-paced open enrolment program. You will have access to all content as soon as you join. When are the weekly calls?